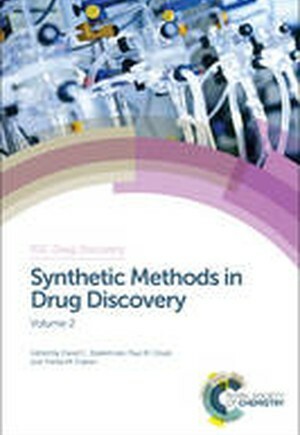 Building on key reactions presented in Volume 1, Synthetic Methods in Drug Discovery Volume 2 covers a range of important reaction types including organometallic chemistry, fluorination approaches and asymmetric methods as well as new and exciting areas such as Csp2-Csp3 couplings, catalytic amide bond forming reactions, hydrogen borrowing chemistry and methods to access novel motifs and monomers. This book provides both academic and industrial perspectives on key reactions giving the reader an excellent overview of the techniques used in modern synthesis. Reaction types are conveniently framed in the context of their value to industry and the challenges and limitations of methodologies are discussed with relevant illustrative examples. Moreover, key opportunities in expanding chemical space are presented, including the increasingly important syntheses that introduce three-dimensional molecular shape. Edited and authored by leading scientists from both academia and industry, this book will be a valuable reference for all chemists involved in drug discovery as well as postgraduate students in medicinal chemistry.